Fresh from delivering a plaintive lament about the difficult character of the modern player, José Mourinho has been tipped to become the new manager of Neymar. Thomas Tuchel is under pressure, see, after only winning 9-0 last weekend in Ligue 1, where PSG have but a 13-point lead at the top of the table, with two matches in hand. If they were to offset that embarrassment in that Champions League, then the French club might jilt Tuchel and make a move for Mourinho, who bumped into the the PSG president, Nasser Al-Khelaifi, while a-punditing in Qatar recently. That story will sadden the hearts of fun-lovers, who would much prefer Mourinho to be thrust into power at PSG *before *their next Champions League fixture, which, of course, is against Manchester United, whose fortunes have turned around in exactly the manner you’d expect after replacing Mourinho with a bubbly work experience intern from Norway. As if to endear themselves further to Mourinho, PSG have made a bid for a new defensive midfielder, with Everton Idrissa Gueye their prime target. And they were very confident of pipping Manchester City to the signing of the dinky midfield schemer Frenkie De Jong until Barcelona made a last-minute swoop for the Ajax prodigy, who now seems headed for the Nou Camp. Oh well, Marouane Fellaini is still available. Meanwhile, Tottenham Hotspur’s attempt to convince Mauricio Pochettino that there is no need for him to consider a summer move to Manchester United has taken an turn, as the north London club have been linked with actual transfers. With the club running out of fit attacking players, Spurs are reportedly keen on signing Youcef Atal from Nice. A right-back, albeit a strong-running one. Serge Aurier, meanwhile, is welcome to embark on a long run to China. Spurs, in fairness, are also being linked with PSV’s 21-year-old winger Steve Bergwijn, who’s also on Manchester United’s watch list. Spurs and Manchester United might well be among the clubs to receive a CV from Rafael Benítez in the summer, with the Spaniard said to have resolved to leave Newcastle when upon the expiry of his contract unless he is given significant backing in the transfer market this month. Off he’ll go, then. Real Madrid will give their manager significant backing, specifically £90m to spring Paulo Dybala from Juventus. And Aaron Ramsey might be allowed go to Juve as early as next week if Arsenal complete deals for James Rodríguez and Denis Suárez. Arsenal are also on the lookout for a new director of football, and Roma’s Monchi is said to be their top target. West Ham United are said to be beating Celtic and Tottenham Hotspur in the race for Sunderland forward Josh Maja. However, West Ham could trump all their rivals, as they are prepared to offer Sunderland the chance to keep Maja until the end of the season. West Ham would be willing to loan Maja back to Sunderland, to ensure that they win out over Tottenham and Celtic. Maja is leading Sunderland’s scoring charts, and Jack Ross is known to want to keep the forward until the end of the campaign, so the deal with West Ham could suit everyone involved. If Maja was to arrive at West Ham at the end of the season, he would join a host of exciting young talent at the London Stadium right now. Sunderland striker Josh Maja is being reported as remaining on the West Ham radar at around £2 million. Reports claim that should the two clubs do a deal for the 20 year old the Hammers would be prepared to send the 16 goal hitman back to the Black Cats on loan for the rest of the season. However, the reality is the Irons have little interest in the League One player as they continue the hunt for a proven PL striker who can immediately step into the first team squad. According to the French agency PSRC One, two young goalkeepers are currently on trial at West Ham. 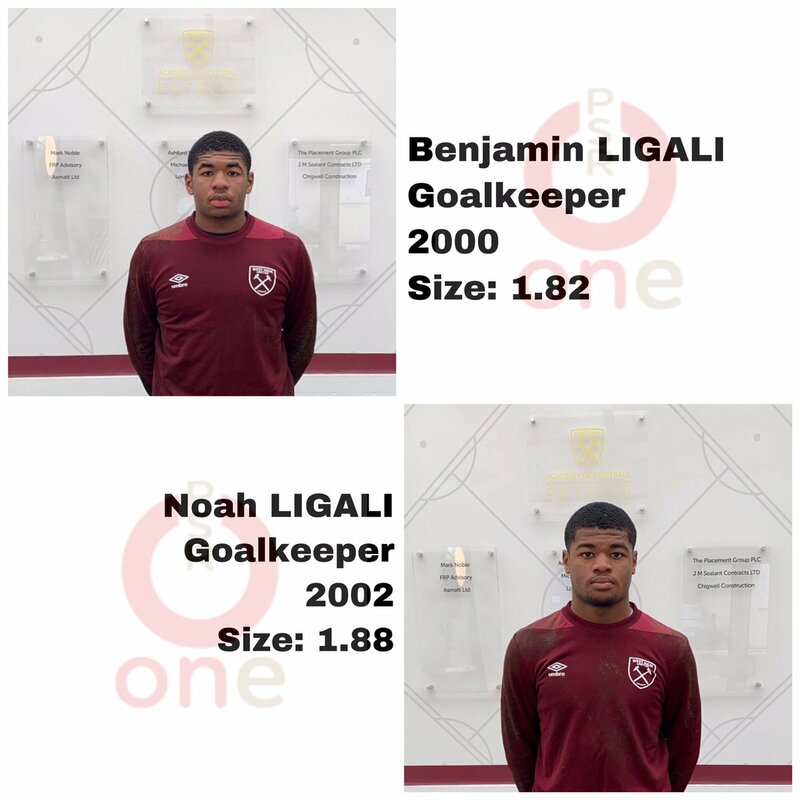 The news is from a couple of days ago, but the consulting and recruiting company took to their Twitter to announce that brothers Benjamin (born in 2000) and Noah Ligali (born in 2002) travelled to London to spend some time at the Premier League side. The duo are the younger siblings of 27-year-old Jonathan Ligali, who is currently one of Montpellier’s backup shot stoppers in Ligue 1. PSRC One posted a picture of the pair with their West Ham training outfits on, giving those interested their respective heights. While there is little information about Noah, Benjamin Ligali is currently playing with SO Cholet in France’s third tier, having moved there from Montpellier’s U19s back in October, where he has featured for their reserves. Now it’s up to them to impress staff members at West Ham in a bid to secure a spot there in the future. ... sneaky halftime substitutions a possibility.